Julie Dawkins Family: Yeah!!! 1/3 of the way there! Yeah! Another 1.6 down this week. 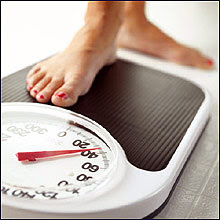 According the World Wide Web I am 26 lbs away from a healthy weight for my height. In the last two months I have lost 13 lbs. so by my calculations I am 1/3 of the way there! 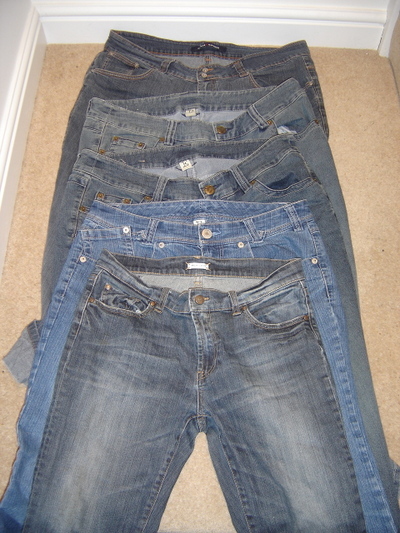 I have given away most of the jeans that don't fit; for me it was just too depressing to have them laying around. I wish I would have thought of taking this photo though; it is a great picture of the struggle.